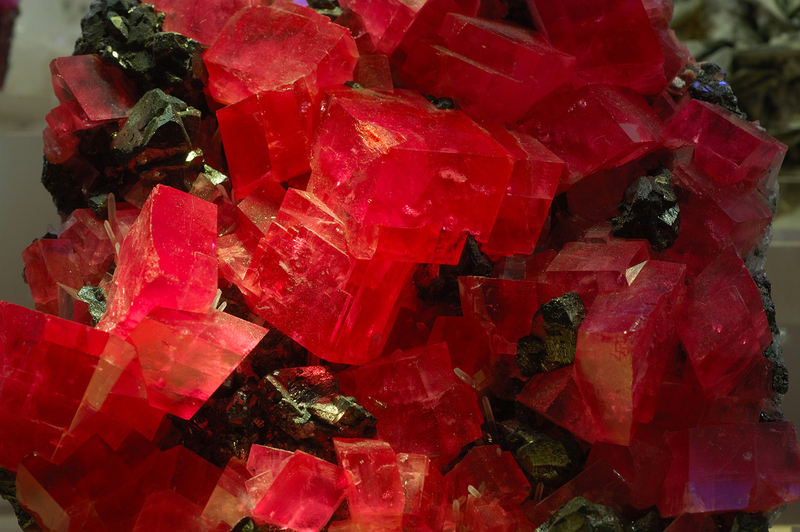 Rhodochrosite from the Sweet Home Mine in Alma, Colorado; photo by Eric Hunt on Flickr (noncommercial use permitted with attribution / no derivative works). The world's largest rhodochrosite crystal (called the Alma King) was found in the Sweet Home Mine near Alma, Colorado (on display at the Denver Museum of Nature and Science). Colorado's geological symbols are red (rhodochrosite), white (yule marble, the state rock), and blue (aquamarine, the state gemstone).